Included: Apple 5W USB Power Adapter (UK Plug). Huge Capacity, 300000mAh. Four Led Indicators Show You The Energy State Of External Battery. Built-in Li-ion Battery. 1x Power Bank. Input: Dc 5v-1a. Weight: 320g. 10W foldable travel solar panel kit for traveling, camping and festivals. Make travelling easy with our 10W solar panel. Foldable feature for easy carrying and compact storage. Durable high quality material. Apple 5W USB Power Adapter - power adapter. Tech Data Product Data Sheet - Apple 5W USB Power Adapter(MD812B/C). It works with any iPhone and all iPod models with a dock or lightning connector. Product TypePower adapter. The powerstation provides a lot of power in a small size. With its USB output ports it can support virtually any smartphone, tablet or wearable. 2x 2,1A USB-A output port. Slim design. LED power indicators. GENUINE Apple 5W USB Power Adapter. • Apple 5W USB Power Adapter. It works with any Apple Watch, iPhone or iPod model.Buy it now. Features: • Innovated style, Premium Quality and craftsmanship • supports fast charging for iPhone 6S/6 Plus, iPhone 6/6S, iPhone 5S/5, iPhone 5c, iPhone 5, iPad Air, iPad (4th generation), iPad mini with Retina display, iPad mini, iPod touch (5th generation) and iPod nano (7th generation),etc. • Intelligent circuit design protects against short circuiting, over-heating, over-currents, and over-charging. Charging stops when battery is full • Dual USB port can provide optimal charging efficiency &nb. PRODUCT : APPLE 5W USB POWER ADAPTER FOR ANY IPHONE, IPOD AND APPLE WATCH. MODEL : APPLE 5W USB POWER ADAPTER. IN THE BOX 1 X Apple 5W USB Power Adapter. COMPATIBILITY : FOR ANY IPHONE IPOD AND APPLE WATCH. • Ultra Compact Twin In Car Charging Adapter. • USB Port 1 1. • USB Port 2 1. • As easy as Charging from the Computer/Laptop USB. • Color of Indicating Light: Blue. Capacity: 300000mAh/100000mAh. 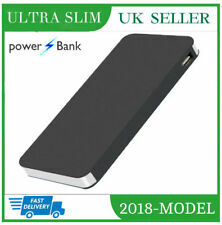 300000mAh/100000mAh 2xUSB LCD Power bank. Output2: DC5V 1A. Output1: DC5V 2.1A. Can be used for your Samsung Tablets / Samsung galaxy phones. 100% percent original Micro cable compatible with most Samsung/HTC/Nokia/LG. Specifically designed to work with All Micro Usb ports phones and tabs.